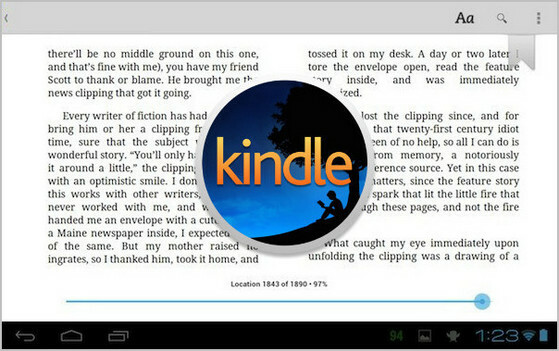 If you already own an Android tablet, would you buy a Kindle in order to read Kindle books? Most people would say no, as they are similar devices. Amazon provides a good resource of eBooks, but one of the downsides of it is that all the eBooks downloaded from Amazon are loaded with Digital Rights Management (short for DRM), which limits us to read the eBooks on its’ Kindle devices. And if we want to read them on other devices, like Android tablet, we’ll have to download its Kindle App on the device. In this article, we are going to guide you on how to use Kindle App to read Kindle Books on Android Tablets step by step. Besides, we’ll recommend a good way to remove the DRM from Kindle books so that you can enjoy your purchased eBooks without any limitations. At the very beginning, Amazon's services are all about keeping you with Amazon. When you buy a book from Amazon, you are expected to read the book on Amazon's properties. But gradually Amazon has turned to an account-based cloud distribution system, where you may also read Kindle books on non-Kindle devices with its Kindle app registered with Amazon account. Below is a detailed demonstration of reading Kindle books on an Android Tablet. The easiest way to download Kindle app is to search for “Kindle” on Google Play and then tap it to download. If you don’t have access to Google Play, you can download it through Amazon Appstore or browser. If you’d like to download Kindle app from Amazon Appstore, you'll have to get Amazon Appstore app first and then search "Kindle for android" in the app, finally tap "Get from Amazon Appstore" to download it to your tablet. If you’d like to download Kindle app from the browser, just launch the build-in browser on the device and search for "Kindle for android apk download". Tap the download button and finally finish the installation. After installing the app, launch it. You’ll be asked to register it with your Amazon account. Once the Kindle app is registere, you can see all your previously purchased Kindle books under the same account. With Kindle app installed and registered, you can easily read your Kindle books on your Android tablet. You can find your local books under "On Device" shelf and downloaded books under the default "Kindle" folder. Go read them now! Though we are able to read Kindle books on non-Kindle devices with Kindle app, but a great many people are seeking for a way to strip the DRM from Kindle books so that they can read Kindle books with no limitations, download Kindle books to local computer, print out Kindle books and etc. What is the efficient way to get rid of the DRM protection in Kindle books? 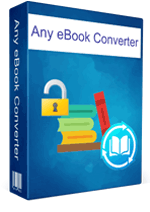 Any eBook Converter is able to do that within three steps. For detailed guide, please visit How to Remove DRM from Kindle Books.